I have grown up with pure bred dogs, and as a child started training our Newfy to perform various tricks. My affinity for dogs didn't stop there, by the time I was a teenager I had my first rescue Afghan Hound, soon after adopted a Dobie/Shepherd mix. I have had numerous purebreds over the years including a Briard and several Akitas. 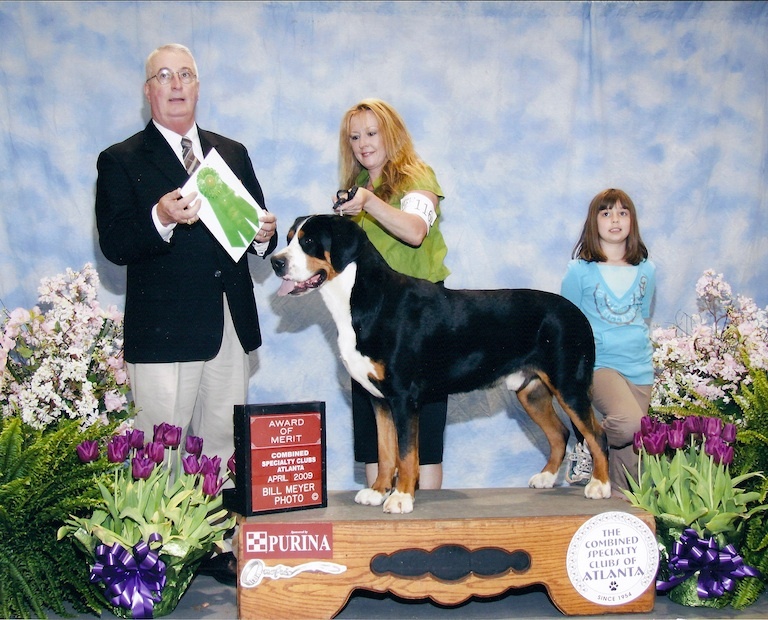 For the last 10 years I have owned, trained, and bred Champion Greater Swiss Mountain Dogs under the kennel name Matterhorn GSMD. This breed has become my passion, they are the most wonderful companions I have ever had the pleasure of living and working with. I have and education in Business and accounting and after working in an office environment for several years, I knew then this wasn't for me long term. Early on in my office career I began training clients' dogs in my spare time and eventually decided to pursue a career in dog training, opening the Long Island K-9 Academy. I have been a professional dog trainer for the last 27 years. 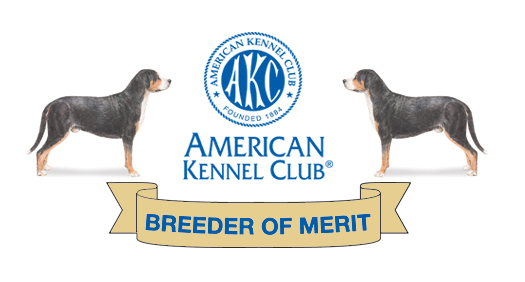 I am requently recommended by veterinarians and other clients. 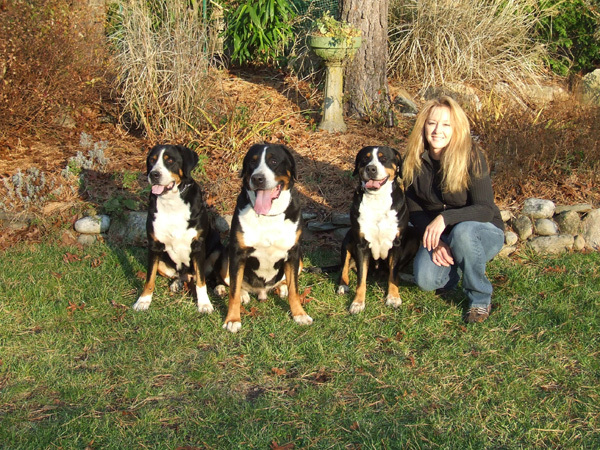 In addition to my training services I started boarding dogs in my home more than 20 years ago after seeing some of the conditions and stress that is put on some dogs in kennels. I have found that dogs are much happier and healthier in a home environment. I started to include sheep herding about 13 years ago, which has been one of my biggest training challenges to date. It was much harder than it looked. I knew I would have to do this and do it well, since those 10 years have passed I have titled many of my own dogs as well as clients dogs. It is something I enjoy immensely, the dogs love it as do their owners who delight in watching their dogs natural instinct come alive! As one of my clients once put it, "it is what she was born to do" and it is so very true! Needless to say dogs have been my life! My daughter Alexandra (pictured below) is always a big help and makes sure that all our guests are comfortable when visiting! CH Korona Rossii Yaroslav "Yuri"
Copyright 2010 Long Island K-9 Academy. All rights reserved.